I’m currently working with several of these type of readers who have not discovered the joys of reading despite frustrating attempts by parents and teachers. I have had some success tossing them a few short stories. The length is perfect for them and I often find these fiction or non-fiction stories will increase their interest in eventually reading something of greater length on the same topic. Here are sites with free short stories for ages 9-12 that can be read online or printed out in 1-2 pages. Try a few to get your reluctant reader reading. Highlights Magazine – Yes, you can subscribe to the magazine, but they also offer a selection of free stories. Motivating topics and short interesting tales. North Carolina State University – A selection of fiction and nonfiction, most only one page. Selection for 3rd-5th grade. The link directs you to the PDF files for fifth grade. Comprehension questions are also included. Polk Brothers Foundation Education Network – A good variety of one page fiction stories at a 2nd – 10th grade reading level. Happy weekend! 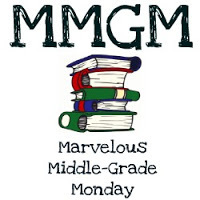 I’ve got a review of THE PET WAR coming in for Marvelous Middle Grade Monday. This entry was posted in Reading, Resources and tagged Middle grade, reading passages, Reluctant readers. Bookmark the permalink. Hi Greg! Great reviews and content. I will look forward to your review of the Pet War.